SEOUL, Aug. 18 (Yonhap) -- G-Dragon of boy band BIGBANG on Friday donated 81.8 million won (US$71,710) to the United Nations' refugee agency to support its campaign to build shelters for the displaced people, his agency said. The popular singer has made charity donations on his birthday, Aug. 18, each year, asking fans to do the same for those in need. This year. his contribution went to the Seoul office of the U.N. High Commissioner for Refugees (UNHCR), according to YG Entertainment. "It is heart-wrenching to see children flee their homes due to civil wars and violence. I want my small sincere contribution to help give them some places to rest," G-Dragon was quoted as saying. The singer added, "I want to deliver the idea that peace isn't achieved by just imagining it but by our collective effort to achieve it." 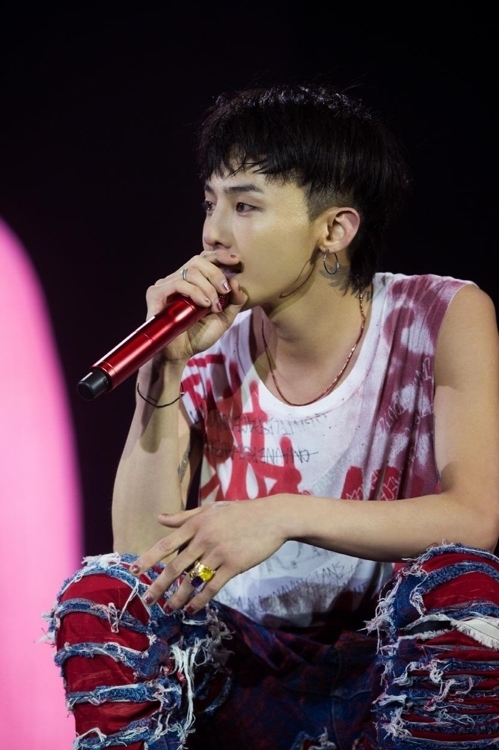 "Kwon Ji Yong," G-Dragon's fourth solo album, came out in June and stormed major music charts upon its release. The record at one point conquered Apple's iTunes album charts in 39 countries upon its release. The singer is currently on a world tour.